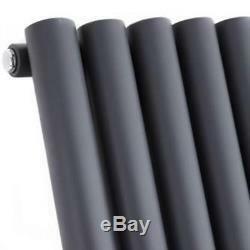 Create a smart designer look for an affordable cost with the top quality 1600 x 354mm anthracite vertical designer radiator. This ultra-stylish contemporary radiator incorporates six round vertical tubes, which deliver a phenomenal heat output to ensure your chosen room is quickly transformed into a warm and inviting space. 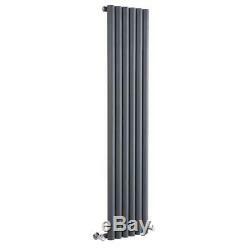 Suitable for installation with any central heating system, this anthracite vertical designer radiator operates exactly the same way as a standard radiator would. It features a steel construction to ensure a long-lasting, durable performance, and will retain its aesthetic appeal well into the future. Please note: valves not included. 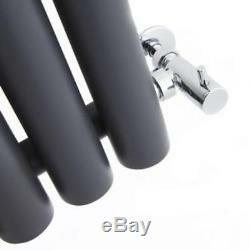 Anthracite Vertical Round Tube Designer Central Heating Radiator 1600 x 354 mm. 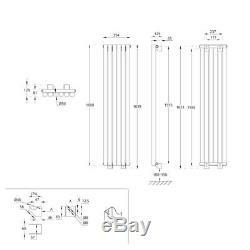 1600mm x 354mm x 81mm. 3634 BTUs / 1065 Watts. There may be delays to our usual service around bank holidays and between the 24th of December and the 2nd January. AB37, KW1 - KW14, PA34 - PA40, PH19 - PH50, TH41, IV1-IV63. ZE1 - ZE3, KW1, KW15 - KW17, HS1 - HS9, PA20, PA41 - PA80. JE1 - JE4, GY1 - GY10. We can arrange a collection if required but this would be at a cost to yourself. We shall arrange for a carrier to collect the items from you and return them to us (at no cost to yourself). Please return items you to. 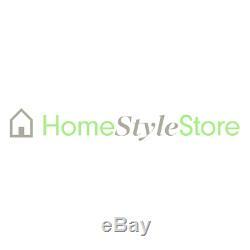 HomeStyleStore Unit 1 & 2 Dawson Court Billington Road Burnley Lancashire BB11 5UB. Our friendly and knowledgeable customer services teams are here to help. We answer all questions within 24 hours. Monday to Friday: 08:30am - 5:00pm. 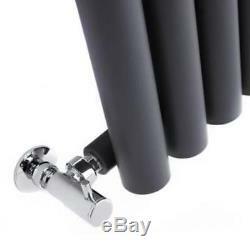 The item "Anthracite Vertical Round Tube Designer Central Heating Radiator 1600 x 354 mm" is in sale since Tuesday, January 30, 2018.